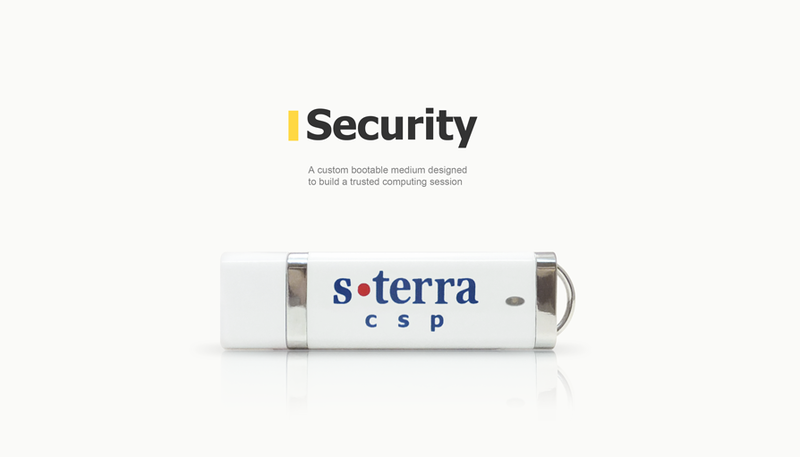 S-Terra CSP is a Russian developer and manufacturer of network security solutions. The company's solutions for building virtual private networks (VPN) provide protection for firewall interactions, wireless and multiservice networks, as well as ensure the security of remote and mobile users. Develop and prepare for launching into production a custom bootable medium (hereinafter CBM) SPDS-USB-01 (SPDS: TCM, Trusted Computing Module), which is a USB device and designed to build trusted computing modules. The software was based on the AT91LIB library by Atmel. The solution was designed using an ARM Cortex M3 chip. USB CCID provides access to a smart card (smart chip) through the ISO7816 interface. USB MSD provides access to the eMMC Flash content according to the rights of the user authorized through the USB CCID. Login checks the responses of the smart card through the ISO7816 interface and, based on the response, issues the right of access to data in the MSD infrastructure. libinitsbs provides the functions of authorization and writing data to the device. libsbs provides the functions of communication with a smart card (reset, creating a file system, adding a user, user authorization, deleting a user, blocking a user, etc. ).